MicroRNAs (miRNAs) are a novel class of gene regulators that are now the center of their own research field in human cancer: the non-coding RNA field. MiRNAs are ~22nt long non-coding RNA transcripts that derive from hairpin precursors and regulate gene-expression of target genes by inhibiting the protein production of the target genes’ messenger RNA (Jonas and Izaurralde 2015; Lin and Gregory 2015). Although much is known about miRNAs, with now nearly 40’000 scientific articles written about them alone, paradoxically defining what is and what is not a miRNA has been difficult, severely hampering studies on their potential roles in cancer, for example. In order to enable researchers to accurately study the dynamics of the human miRNA landscape, an international group under the lead of Professor Kevin J. Peterson (Dartmouth, US) and Dr. Bastian Fromm (Oslo, Norway) decided to revisit the available human miRNA complement (Kozomara and Griffiths-Jones 2014). Fromm et al established and then applied a set of consistent criteria for the annotation of miRNAs. This set was derived from numerous recent publications that elucidated details of miRNA maturation/processing in the cell (Auyeung, et al. 2013; Schirle and MacRae 2012; Schirle, et al. 2014a; Schirle, et al. 2014b; Seitz, et al. 2008; Suzuki, et al. 2015; Tsutsumi, et al. 2011). They show that less than a third of the 1,881 human miRBase entries are robustly supported as the products of miRNA genes. These robustly supported 523 human miRNA genes sequences are now available in an open access databank, MirGeneDB.org. Further, these authors introduced a novel and consistent nomenclature for vertebrate miRNAs, and corrected incomplete or incorrect genomic annotations for this robustly supported set of miRNA genes. MirGeneDB should therefore be a valuable resource for the ever-growing miRNA community, especially those focused on the biology of human diseases. In the work published in the Annual Reviews of Genetics Fromm et al (2015) further present a detailed reconstruction of the evolution of the human miRNA complement which is based on the curation of additional vertebrate and invertebrate species. 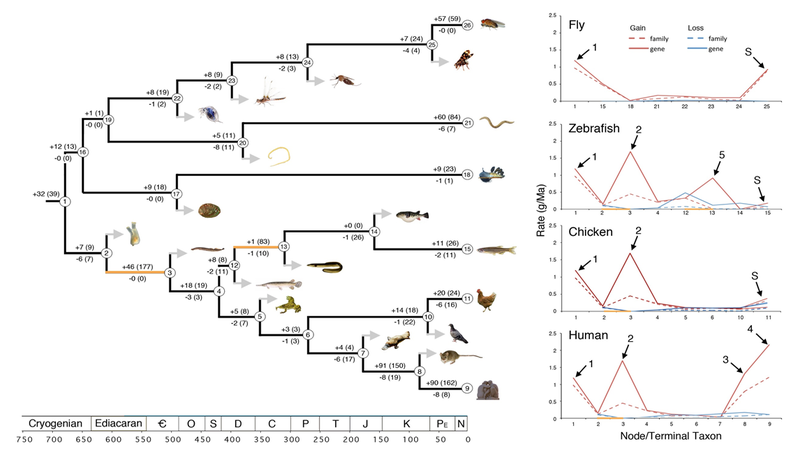 Further, using the full set of curated deeply-conserved vertebrate miRNAs they show that mature gene products show a very different tempo and mode of sequence evolution than star products, demonstrating how natural selection has shaped the evolution of the mature miRNA gene product. The evolutionary history of microRNA genes across the animal kingdom. For each node, the number of both families and genes (in parentheses) gained (top) and lost (bottom) is indicated. On the right are shown the rates of acquisition (red ) and loss (blue) for miRNA families (dotted lines) and genes (solid lines) in four key taxa: human, chicken, fish, and fruit fly; outlier periods of miRNA acquisition are indicated by the numbered arrows. Auyeung, V. C., et al. 2013 Beyond secondary structure: primary-sequence determinants license pri-miRNA hairpins for processing. Cell 152(4):844-58. 2015 Towards a molecular understanding of microRNA-mediated gene silencing. Nat Rev Genet 16(7):421-33. 2014 miRBase: annotating high confidence microRNAs using deep sequencing data. Nucleic Acids Research 42(D1):D68-D73. 2015 MicroRNA biogenesis pathways in cancer. Nat Rev Cancer 15(6):321-33. 2012 The crystal structure of human Argonaute2. Science 336(6084):1037-40. 2014a Gene regulation. Structural basis for microRNA targeting. Science 346(6209):608-13. 2014b Structural basis for microRNA targeting. Science 346(6209):608-13. 2008 Argonaute loading improves the 5′ precision of both microRNAs and their miRNA* strands in flies. Curr. Biol. 18:147-151. Suzuki, H. I., et al. 2015 Small-RNA asymmetry is directly driven by mammalian Argonautes. Nat Struct Mol Biol 22(7):512-21. 2011 Recognition of the pre-miRNA structure by Drosophila Dicer-1.  Nature Structural & Molecular Biology 18(10):1153-U89.